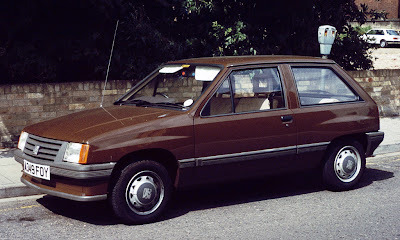 Robert Newborn asked me about piston rings for a 993cc engined Vauxhall Nova, I had mistakenly thought that the Vauxhall Nova only came equipped with the alloy headed overhead cam or OHC engine used in so many of the early front wheel drive generation of GM vehicles. Apparently, the smallest capacity versions of the early Vauxhall Nova and Astra too, inherited the same ancient overhead valve or OHV engines that date back to the Opel Kadett B and C series. Well you learn something new every day as they say. I couldn't help Robert, but if by chance you can help, please contact me and I will be glad to pass your details on.